Listen to your favourite albums, audio tracks, radio stations, Spotify, Deezer or Pandora music wirelessly on your home and car entertainment system via Bluetooth! myMusic Bluetooth turns your home audio sound system into a wireless sound system. myMusic Bluetooth is a portable wireless music device which allows you to listen to your iPhone, iPad, iPod and Android music wirelessly via Bluetooth on your home audio system. Connecting myMusic Bluetooth to your audio system is simple: just plug in the supplied audio cable into your stereo 3.5mm or RCA jack. Connect your Apple or Android phone or Tablet to myMusic Bluetooth wirelessly and start to listen to your favourite music wirelessly on your home entertainment system. By connecting your Apple or Android device with myMusic Bluetooth and a home audio system, you'll enjoy better sound quality than you can get from your phone or tablets built-in speakers. Simply plug the myMusic Bluetooth receiver into your sound system using the included standard analogue RCA or 3.5 mm jacks, connect myMusic Bluetooth to your Apple or Android smart phone or tablet via 'tap-and-play' NFC or using the standard Bluetooth pairing method, and you will automatically pair with your sound system to your mobile device. myMusic Bluetooth gives you the freedom to listen to music in your home wirelessly! The ultra compact design is small enough to be used in your car, yet has the audio quality you'll want to have with your home audio system. myMusic Bluetooth is small enough to fit in your pocket yet powerful enough to give you the freedom to listen to your Apple and Android music on the move or at home. myMusic Bluetooth is small enough to fit in your pocket yet powerful enough to give you the freedom to listen your Apple and Android music on the move or at home. It even works with your headphones allowing you to convert your headphones to wirelessly receive music via Bluetooth. 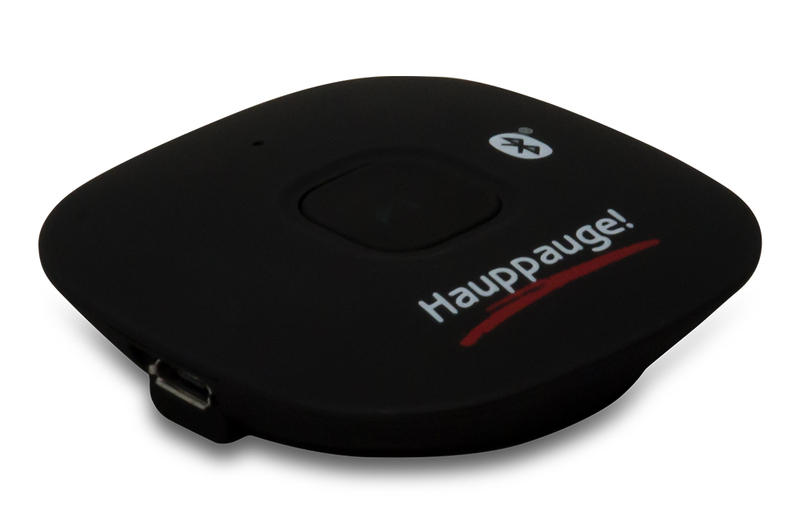 Bluetooth 3.0+EDR for superior wireless performance. 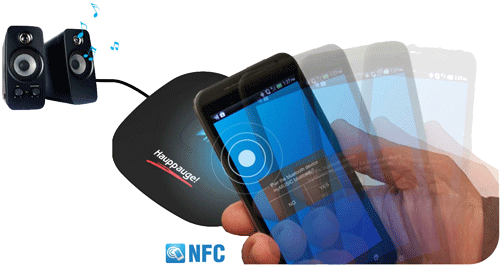 NFC support for easy connectivity. Build-in high performance stereo audio codec. Supports Aux-In to connect to your car stereo system. Can be used as a hands free car Bluetooth receiver with the embedded microphone. 10 hours operation time, 7 days standby on battery. A2DP (Advanced Audio Distribution Profile). AVRCP (Audio/Video Remote Control Profile). Apple device with Bluetooth running IOS 6 and above. Android device with Bluetooth running Android 4.0.3 (“Ice Cream Sandwich”) or higher. PC with Bluetooth running Windows 7 and above. MAC with Bluetooth running with IOX 10.6 and above.